Back in 1997, J.P. Dutta had made Border. The film turned out to be a major blockbuster as it brought to fore patriotism with emotions and loads of action coupled with bravura act by its lead cast. Circa 2019 and audiences could well be bracing up for yet another classic on this side of the millennium, what with Kesari bringing on similar emotions and also expected to entice huge footfalls, hence paving way for a blockbuster in the offering. Director Anurag Singh makes sure that the important chapter from history, the battle of Saragarhi, is given its due homage through Kesari. To do that, he keeps the narrative super engaging and exciting for a major part of the film, as a result of which the audiences are kept glued to their seat right through. After all, the very core theme of 21 Sikhs taking on 10000 Afghans in order to save their fort is awe inspiring enough. Add to that the lethal mix of patriotism and religious sanctity with ‘aatm sammaan’ & ‘balidaan’ and you know that there is enough ammunition out there waiting to explode. Talking of ammunition and explosion then well, Kesari has loads of that, especially during the second half of the film. This is the reason why you wait for the first half of the film to pass through in a jiffy as you want the action to begin unfolding soon enough. No wonder, you do get a tad impatient when the first one hour of the film has some sequences extending beyond an apt time. important battle sequences. Still, what you are waiting for is the battle royale that unfolds later on. This is the reason why you are super thrilled during the portions leading to the interval point. Just check out the roll of drums from the Afghans and the sound design of the entire sequence coupled with the dramatic background score (by Raju Singh) and you would know why. From here, there is no looking back as the film movies into a zone where you don’t even once look at your cellphone and instead stay glued towards all the drama that is unfolding on the big screen. Everything comes together quite well in this half of the film, be it the lavish production values to the manner in which Anurag brings together his entire technical team of cinematographer, action choreographers, editor, composers etc. to of course the superb performance of Akshay Kumar. Check out how he acts through his eyes for most part of the film, be it during the emotional or the action sequences. Moreover, his roar towards the last 15-20 minutes is bound to bring on taalis and seetis for sure. One has to credit the supporting actors too for making Kesari a quality product overall. The actors playing the part of the Sikh soldiers do well and at least half of dozen of them actually have a meaty part to play. The three actors playing Afghan invaders are apt as well and showcase the stark dissimilarity from each other. Parineeti Chopra hardly has a part to play. The actors playing British officers just about pass muster. 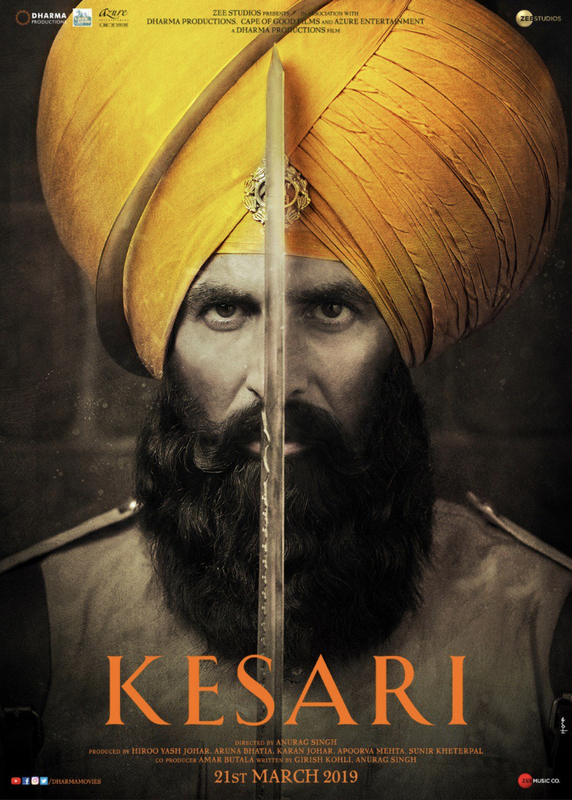 What stays with you though is the high octane drama and adrenaline pumping sequences that are the mainstay of Kesari. As an audience you are amazed that such a chapter had actually unfolded in history more than 100 years ago and you do hail the bravery and courage of the Sikh regiment that had played such a crucial role in holding on to the Saragarhi fort, albeit under the British role. Add to that an excellent act by Akshay Kumar and you are bound to highly recommend the film to others as well. A must watch!